The National Demolition Association's 43rd Annual Convention will be held at one of best convention hotels in North America, the Marriott World Center close by Disney World from March 14-17 in 2016. Long considered one of Marriott's premier property's their World Center features a 105,000 s.f. exhibition space, a new 500 room tower, a massively expanded outdoor recreation area with one of the largest water slides in the country and their magnificent on-site golf course. The hotel is close to Orlando's famous International Drive and Downtown Disney. Applications for the NDA's 2014 Environmental Excellence Awards have been mailed to every Association member. This program, designed to promote the demolition industry's commitment to environmental stewardship as outlined in the organization's mission, has been very successful with both members and their clients. These Awards are presented to NDA members that perform projects that have a significant impact on the quality of life in the community where they did the work or developed a product or service that does the same. This year's Awards will be presented by Environment Committee Chairman John Adamo, Jr. of Adamo Demolition Company in Detroit on Feb. 24, 2014 immediately following President Kroeker's welcoming address at the NDA's 41st Annual Convention at The Mirage in Las Vegas. Award winners receive two awards, one for their own firm and one to present to the client they did the work for. The NDA's Environment Committee established this program to enlighten our customers, the construction community, and the general public to the major role the industry plays in enhancing the quality of life in the towns and cities where we work. Look for the 2014 Environmental Excellence Awards application forms soon. The applications will also be available online at www.demolitionassociation.com. NDA President Jeff Kroeker — of Kroeker, Inc. in Fresno, Calif. — has announced the location and dates for the fall 2013 Board of Directors meeting. The fall meeting will take place on Oct. 4-5 at Westin Copley Place in Boston. Since the 2014 Annual Convention is relatively early next year, Feb. 22–25, there will not be a winter Board of Directors. President Kroeker encourages all NDA members to attend their Board of Directors meetings and participate in planning for the demolition industry's future. 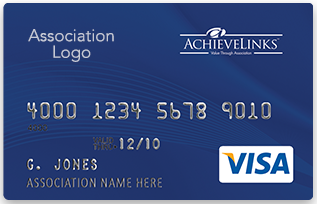 The AchieveLinks Rewards VISA Card exponentially expands the number of places you can earn Links® Reward Points. Earn at grocery stores, movies, restaurants, or anywhere and achieve your dream rewards sooner. It's not easy being a leader. It also doesn't help that most advice about leadership is given by leaders. One of the problems with concrete construction is that it is not designed for deconstruction. Taking it apart is slow, noisy, dusty and labor intensive. When they're not starring in some warm Boston chowder, blue mussels can be found clinging onto rocks and sea decks all along the coast of New England. They're anchored in place by a stringy outcrop of cabling that emerges from between their twin shells. Usually, even the most vicious of high tides can't pry them loose. In the course of running his own businesses for more than two decades, Ryan Holmes, CEO at HootSuite, has done his fair share of hiring. And, he can tell you with absolute certainty that one of the most costly, time-consuming blunders a business can make is picking the wrong person for the job. How costly? The U.S. Department of Labor currently estimates that the average cost of a bad hiring decision can equal 30 percent of the individual's first-year potential earnings. Milwaukee's oldest congregation, Immanuel Presbyterian Church, just got done tearing down one building and is preparing to expand its church. See the slideshow of photos by The Business Journal's Lee Matz for photos of the demolition of Immanuel Presbyterian's education and office building. The recent collapse of the Interstate 5 Skagit River Bridge in Washington once again brought to the forefront the importance of modernizing U.S. bridges. It was also a sobering reminder that we must invest in America’s infrastructure in order to maintain our quality of life and compete in an ever-changing, global economy. Gradual improvement throughout 2012 and into 2013 offers construction job seekers some relief, according to a new report by CareerCast.com. Residential and commercial construction both improved over the past year with indicators pointing to continued growth. "Newly created jobs in the construction industry provide opportunities for candidates with a diverse range of qualifications and skill sets," says Tony Lee, publisher of CareerCast.com. The U.S. Environmental Protection Agency has announced approximately $15 million in supplemental funding to help clean up contaminated brownfield properties. The Revolving Loan Funding is designed to help 41 communities carry out cleanup and redevelopment projects. These projects will help communities create jobs while protecting people's health and the environment, according to EPA. Could New York City be rebuilt from its own trash? New Yorkers produce so much waste that figuring out how to deal with all of it has been one of Mayor Michael Bloomberg's major goals. The mayor implemented several new recycling initiatives this year, but New York City-based architecture firm Terreform has a slightly different approach to how we can reuse some of this pesky rubbish. Called Rapid Re(F)use, the concept proposes a new form of construction that uses industrial robots to build structures and islands from trash in lieu of sending it to landfills.